Impersonation is a crime that is recognized under many different fraud types, including mail fraud. When a person misrepresents themselves as another person or group through the mail, they are guilty of this. This type of fraud may include the receipt of paperwork asking for personal information. Schemers commit impersonation on behalf of a credit card company or a tax collector and ask for this information. When a person sends reply mail containing all of the requested information, they have in fact given strangers their identity. Identity theft is another type of fraud that includes the impersonation of another person. In one example, a schemer may impersonate a bank employee requesting that information be given to the bank regarding a person's account. Once information is given, the person is now a victim of identity fraud. Another example, a schemer sends paperwork in the form of bogus potential criminal charges. Inside the mail exists an option to pay a certain amount of money in order to have the charges expunged. The victim sends money to the schemer in hopes of clearing their name, and loses out on money. Impersonation is used often to commit fraud, since the trail back to the criminal is minimal or non existent. Impersonation occurs easily after people misplace credit cards, social security cards, and identification cards. These items are important forms of identity that if stolen, can make fraud simple. In one example, a criminal gets a hold of a social security card and sells it for a profit to an non-citizen, or fellow criminal for use. The non-citizen or fellow criminal receives the card in the mail and uses it to get a job or start a new life. Impersonation can occur through phishing, which includes the use of the Internet. Private information like name, number and occupation are often asked for in this situation. The schemer will present themselves as a trusted organization or business. In an example, a schemer acts like a member of the census who is conducting the government polls. The victim is charged to participate in the census, and the schemer profits. Fraud through impersonation can be difficult to prove, especially when the information is given away voluntarily by the actual person. The use of the Internet or mail keeps the schemer in indirect contact with the real person. In addition, it becomes hard to prove that fraud took place on credit reports and bank accounts unless suspicious activity is reported right away. 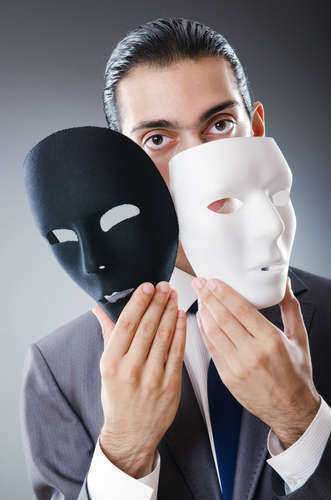 Unfortunately, people do not always know that impersonation fraud is occurring until after it has already happened. This leaves little room for victims to close accounts or discontinue cards to prevent fraud from escalating, or releasing oneself from liability.